Since the holes are missing for the alignment mirror tool, how does the shop align the car? a friend of mine w/ a m5 who is also a bmw dealer tech has access to a john bean alignment rack with heads that wrap around the back of the wheel so they won't leave any marks. 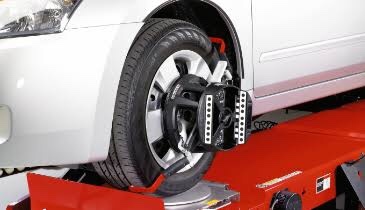 Hunter Hawk Eye Elite uses heads that grab the tyre and has a rubber ring that rests against the face of the wheel.